Unless it’s on top of a warm apple cobbler, I don’t want soupy ice cream. 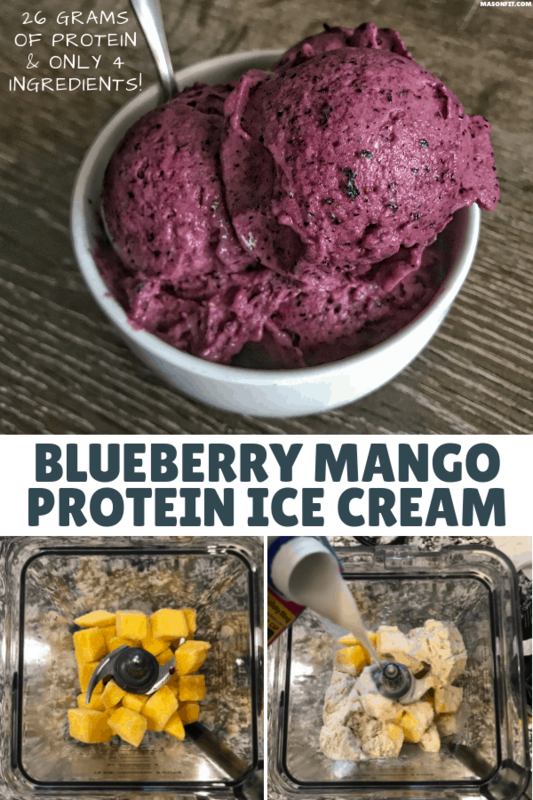 And this blueberry mango protein ice cream is far from soupy. Nope. It’s soft, creamy, delicious, and packed with protein. The entire recipe has 26 grams of protein and only 305 calories. If you’ve been going through pints of Halo Top like they’re going out of style, this protein ice cream recipe could be your (and your wallet’s) savior. To back up its creaminess, I’ve provided video evidence below. 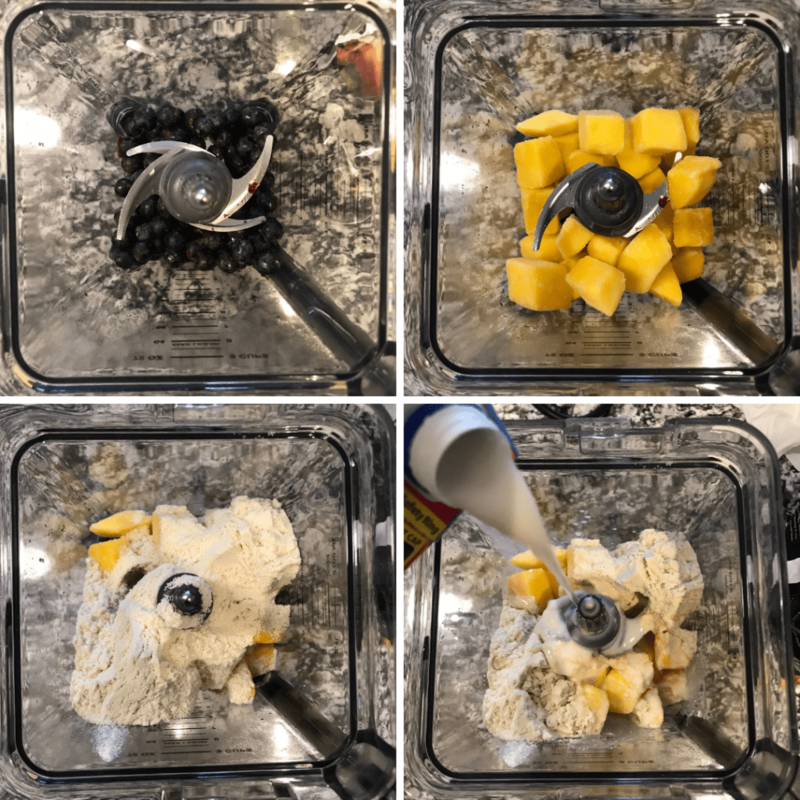 The title probably gives this one away, but frozen mango is an unbelievably useful ingredient for protein ice cream, smoothies, and any frozen treat. In this recipe, we’ll be rolling with the mango flavor. But a splash of vanilla could turn this into purple vanilla protein ice cream, eliminating all traces of mango flavor. There are others out there, but you can probably find something to jive with out of these. Here’s an example of a protein frozen yogurt recipe made with pineapple. Tap on the post to view the recipe card in the second image. Don’t worry, there’s no best protein powder for protein ice cream. I use Dymatize 100% Whey, but you can use any protein you have on hand. I will say that other blends and protein powder sources may have different textures and volume per serving. Meaning, you may need to modify the amount used if your ice cream is too thick or needs thickening. I’ve included the weight of one scoop of my protein powder (34g) so you can get as close as possible. Okay, that’s all ya need to know. If you try this protein ice cream, be sure to snap a pic and tag me on Instagram. I’ll be sure to share it with everyone on the ‘gram. 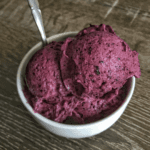 A quick and easy protein ice cream recipe. Blend everything together in a food processor or blender. Want more high protein desserts? Enter your info in the form below and I’ll send you a copy of my free cookbook for chocolate lovers. You’ll find nearly 30 of my most popular high protein chocolate recipes. Mango and blueberries are a great combo! 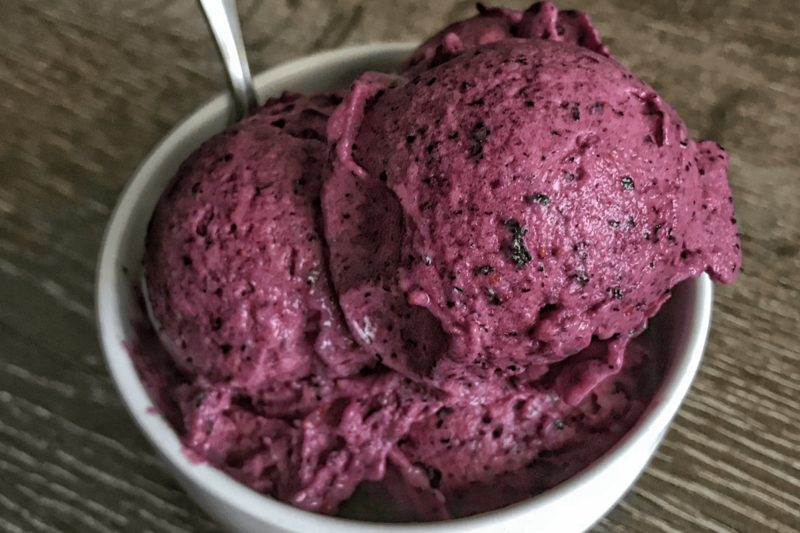 I love how easy this protein ice cream is.